Nintendo may be hip to sell 3D handhelds, but Sony's having none of it. Responding to Nintendo's surprise announcement yesterday that the company plans to release a 3D version of its popular DS handheld by March 2011, Sony's marketing director John Koller told IGN he believes works best in the console space. "The amount of interest in 3D from the retail side and game publishers is off the charts," said Koller. "We know we have a hit with 3D on PS3 and we're going to concentrate our efforts there." Well sure, you're probably saying, what else is Sony going to say? The company's lining up to sell ultra-expensive 3D TVs, after all, and wants you to believe 3D's the next big thing--even if it isn't. Even then, Sony's probably right to be skeptical about 3D in the portable space. We're talking about screens--or possibly a single screen--less than 4-inches diagonally. It may look cool for a couple of seconds in a YouTube video, but could be distracting (in a bad way) or strain your eyes over extended play sessions. Koller calls Nintendo's unexpected 3D gamble "an interesting move," but wonders if they've really got their demographics straight. "8 and 9 year-olds playing 3D is a little bit of a stretch given where some of our research is right now," he said. Count me with Koller until Nintendo proves me wrong (and hey, prove me wrong Nintendo--I'll be first in line to buy one if you do). 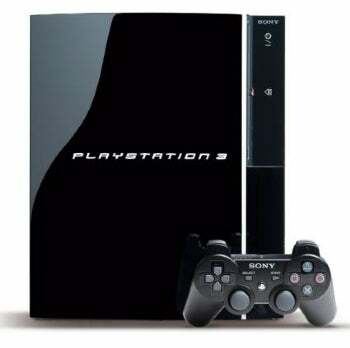 Also, lest Sony forget, remember that you'll pay upwards of $4,000 for a 3D TV set, where Nintendo's 3D handheld should come in somewhere under $200.